Our new and improved Fox Start Packages include everything you need to start playing. 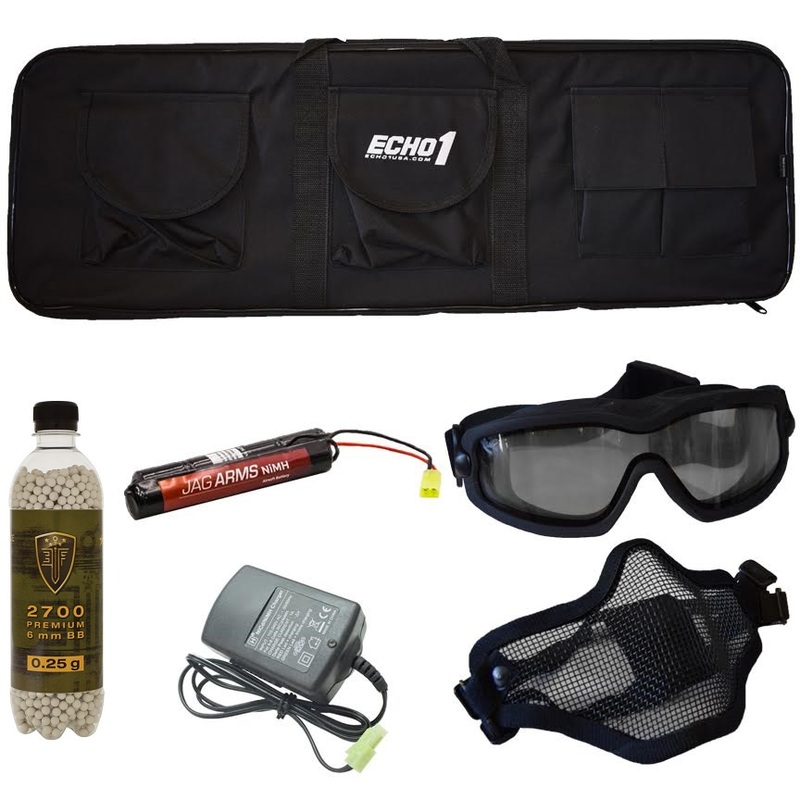 If you don't need all the safety gear, the basic starter pack will include the bare essentials to get your gun up and running and have enough ammo and batteries to last in a day of airsoft. The Lancer Tactical M4 Mk18 has always been a solid and reliable starting rifle that we recommend to players. The newest version has recently been released and there are huge improvements made to an already dependable rifle. The body is now a solid nylon fiber compared to the ABS plastic of the old bodies. This makes it more durable than ever. The gearbox and hopup unit have been improved upon to make the performance reliable and accuracy consistent. 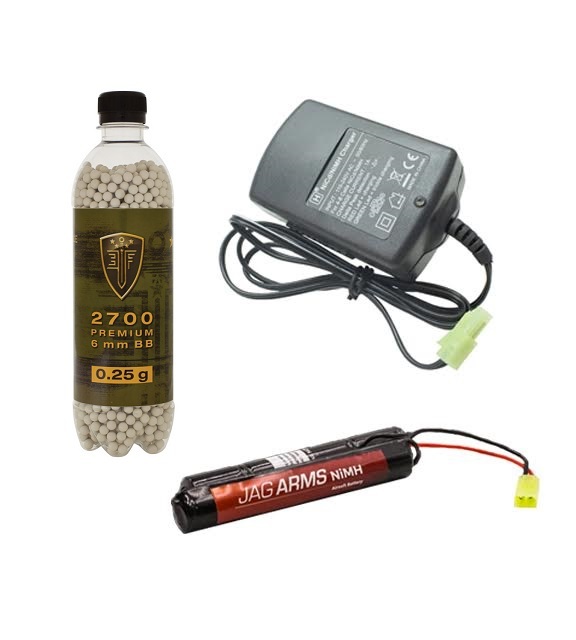 As always the gun has a 9.6v battery included and a wall charger to get you going. The front of the gun features a rail system which allows you to attach most common accessories with ease. The included magazine is a 300-round high cap magazine. Includes a single point ambidextrous single point sling mount. Download the manufacturers Manual here.